1. Baak, J.P.A. ; Path, F.R.C. ; Hermsen, M.A.J.A. ; Meijer, G.; Schmidt, J.; Janssen, E.A.M. Genomics and proteomics in cancer. Eur. J. Cancer 2003, 39 (9), 1199-1215. 2. Bastian, B.C. ; LeBoit, P.E. ; Hamm, H.; Broecker, E.-B. 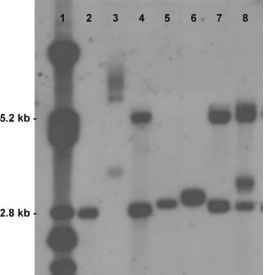 ; Pinkel, D. Chromosomal gains and losses in primary cutaneous melanoma detected by comparative genomic hybridisation. Cancer Res. 1998, 58 (10), 2170-2175. 3. O'Hagan, R.C. ; Brennan, C.W. ; Strahs, A.; Zhang, X.; Kannan, K.; Donovan, M.; Cauwels, C.; Sharpless, N.E. ; Wong, W.H. ; Chin, L. Array comparative genome hybridisation for tumor classification and gene discovery in mouse models of malignant melanoma. Cancer Res. 2003, 63 (17), 5352-5356. 4. Ortonne, J.P. Photobiology and genetics of malignant melanoma. Br. J. Dermatol. 2002,146 (Suppl. 61), 11-16. 5. Omholt, K.; Platz, A.; Kanter, L.; Ringborg, U.; Hansson, J. NRAS and BRAF mutations arise early during melanoma pathogenesis and are preserved throughout tumor progression. Clin. Cancer Res. 2003, 9 (17), 6483-6488. 6. Goldberg, S.F. ; Miele, M.E. ; Hatta, N.; Takata, M.; Paquette-Straub, C.; Freedman, L.P.; Welch, D.R. Melanoma metastasis suppression by chromosome 6: Evidence for a pathway regulated by CRSP3 and TXNIP. Cancer Res. 2003, 63 (2), 432-440. 7. Baldi, A.; Santini, D.; De Luca, A.; Paggi, M.G. cDNA array technology in melanoma: An overview. J. Cell. Physiol. 2003, 196 (2), 219-223. 8. Vihinen, P.P. ; Pyrhonen, S.O. ; Kahari, V.M. New prognostic factors and developing therapy of cutaneous melanoma. Ann. Med. 2003, 35 (2), 66-78. 9. Bittner, M.; Meltzer, P.; Chen, Y.; Jiang, Y.; Seftor, E.; Hendrix, M.; Radmacher, M.; Simon, R.; Yakhini, Z.; Ben-Dor, A.; Sampas, N.; Dougherty, E.; Wang, E.; Marincola, F.; Gooden, C.; Lueders, J.; Glatfelter, A.; Pollock, P.; Carpten, J.; Gillanders, E.; Leja, D.; Dietrich, K.; Beaudry, C.; Berens, M.; Alberts, D.; Sondak, V. Molecular classification of cutaneous malignant melanoma by gene expression profiling. Nature 2000, 406 (6795), 536-540. 10. Hendrix, M.J.C. ; Seftor, E.A. ; Hess, A.R. ; Seftor, R.E.B. Vascular mimicry and tumour-cell plasticity. 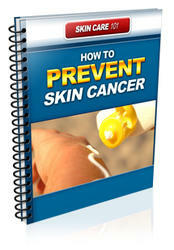 Lessons from melanoma. Nat. Rev., Cancer 2003, 3 (6), 411-421. 11. Kallioniemi, O.P. ; Wagner, U.; Kononen, J.; Sauter, G. Tissue microarray technology for high-throughput molecular profiling of cancer. Hum. Mol. Genet. 2001, 10 (7), 657-662. 12. Carr, K.M. ; Bittner, M.; Trent, J.M. Gene-expression profiling in human cutaneous melanoma. Oncogene 2003, 22 (20), 3076-3080.